Ted Valentin: 24 Hour Business Camp strikes back! Once a year the Swedish magazine Internetworld makes a list of the most exciting web entrepreneurs in the country. This year the winners are Kundo.se. Congratulations to David, Emil, Björn & Jonatan - I know how hard you've been working. As they mention in the article Kundo was created at 24 Hour Business Camp, the hackathon that I founded in 2009. One fun detail is that the winner last year, Goldfish CRM, was ALSO a company created at 24 Hour Business Camp. It could be a coincidence - or maybe an indicator that the sheer volume of new ideas at 24 Hour Business Camp actually does produce some nice results. A lot of the people on the list are actually people that participated at 24 Hour Business Camp in the past. As you might have heard, 24 Hour Business Camp will take place again, end of October 2011. 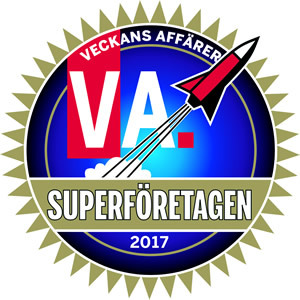 It will be officially arranged by .SE, the Internet Infrastructure Foundation in Sweden, a few weeks before Internetdagarna, in November. Janne Elvelid at .SE is pulling the strings. Since my own time is sort of squeezed (starting Tripbirds.com) my role is as an advisor. Joakim Jardenberg, Björn Falkevik and a few other great people are also involved, so 24HBC #3 will surely be better than ever! And believe it or not - 24HBC is now also on Twitter. (Finally.) Make sure to follow us there for the latest news. Looking forward to hack me some code.